While Human-Centered Multimedia Computing (HCMC) improves upon traditional multimedia computing paradigms by accounting for the differences among populations of humans, inter-personal differences between, and intra-personal differences within, populations have created the need for a new paradigm which is sensitive to the needs of a specific user, task and environment. The paradigm of Person-Centered Multimedia Computing (PCMC) addresses this challenge by focusing the design of a system on a single user and challenge, shifting the focus to the individual. 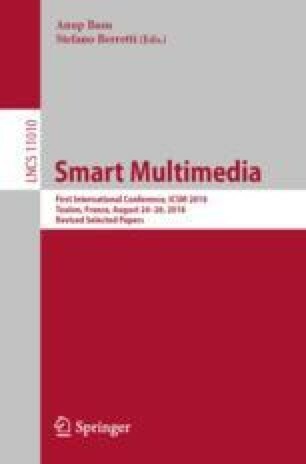 It is proposed that this paradigm can then extend the applicability of multimedia technology from the individual user to the broader population through the application of adaptation and integration. These concepts are discussed within the context of disability, where variations among individuals are particularly prevalent. Examples in domain adaptation and autonomous rehabilitative training are presented as proofs-of-concept to illustrate this process within PCMC. The authors thank Arizona State University and National Science Foundation for their funding support. This material is partially based upon work supported by the National Science Foundation under Grant Nos. 1069125 and 1116360.